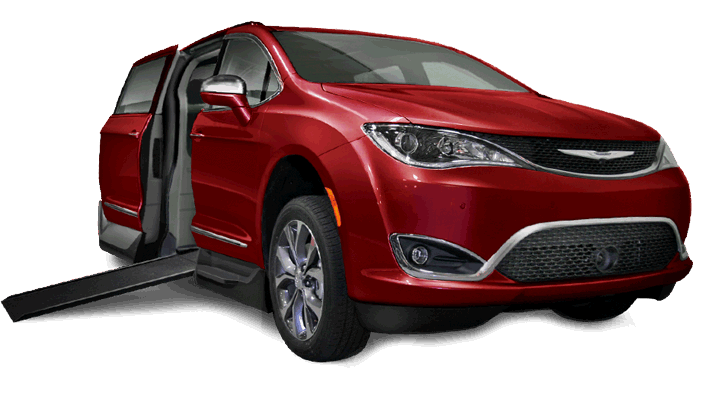 When Chrysler announced that they were discontinuing the Town & Country line, the team at BLVD couldn't wait to get more information about the Chrysler Pacifica and the new mobility options that will come with it. We have been keeping a close eye on what the manufactures have been working on, and what it will mean for you and your family. Braun has dipped their toe into this new ocean of opportunity with a manual rear entry option. This reliable option beats its predecessor in every dimension that matters, offering a 56” entrance height, a 58” interior pan length, and a roomy 34” interior width. As far as their rear entry take on this new model goes, it is definitely an upgrade from the Town & Country, in both Luxury and Accessibility. Braun has yet to release a side entry option to the public. They do have a model that is set to premier later this year. It looks like they wanted to invest just a little more time, to insure that they get it right the first time. Considering their history with the Town & Country, we have high hopes for their version of the Pacifica! 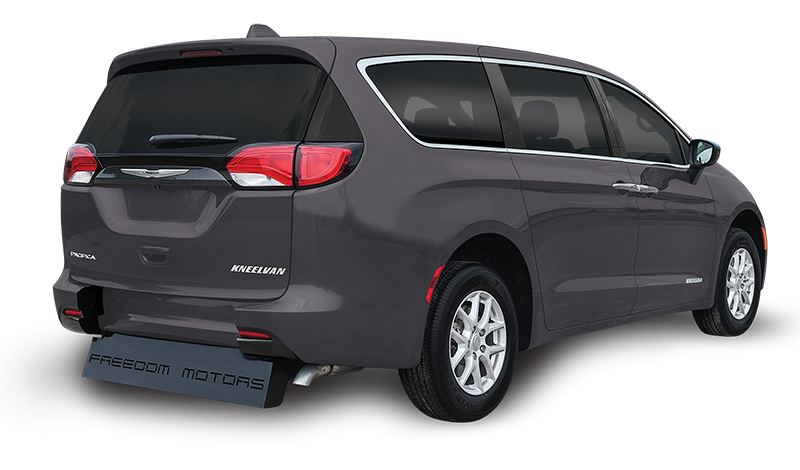 Freedom has created a sleek design for the new Pacifica under their flagship Kneelvan rear entry famly of conversions. 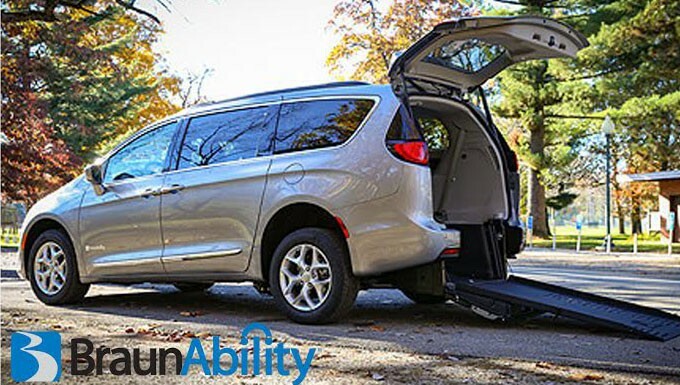 They are offering this conversion with both automatic and manual ramps, that range from 30”- 34” wide, making enough room for even some of the largest wheelchairs. While this conversion is spacious, according to their specs, it looks like their first model will fall just short of meeting ADA requirements for commercial use. However, it will surely make a great van for a private party. VMI is definitely ahead of the game, unveiling the industry's first side entry conversion. This option comes standard with their Northstar infloor ramp. Offering a 30” wide ramp that tucks neatly into the floor. They have lowered the floor of the new Pacifica an unheard of 15” giving it an impressive 56” door opening height. Although it is new to the VMI lineup, it looks like it will quickly become one of their best sellers. These options are just the first to come out of the industry, and you can be sure that soon we will be seeing quite a few renditions to this new platform. You can trust that your team here with BLVD will stay on top of these developments, and make certain you are the first to know!